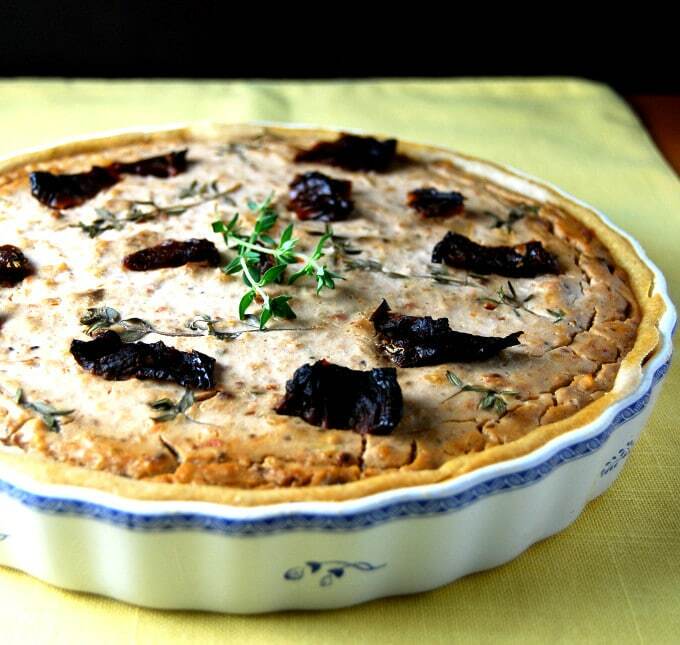 This gluten-free, vegan French Onion Tart is rich with the exquisite flavor of caramelized onions, and the fragrance of thyme. The tart shell is made with gluten-free all-purpose flour but you could use a mix of sorghum and millet flours. It’s the weekend guys, and I don’t know about you but I feel good. Ecstatic, even, although it’s not like I’ve got anything special planned out. But how great is the very thought of two full days crammed with nothing other than endless possibilities of having fun? 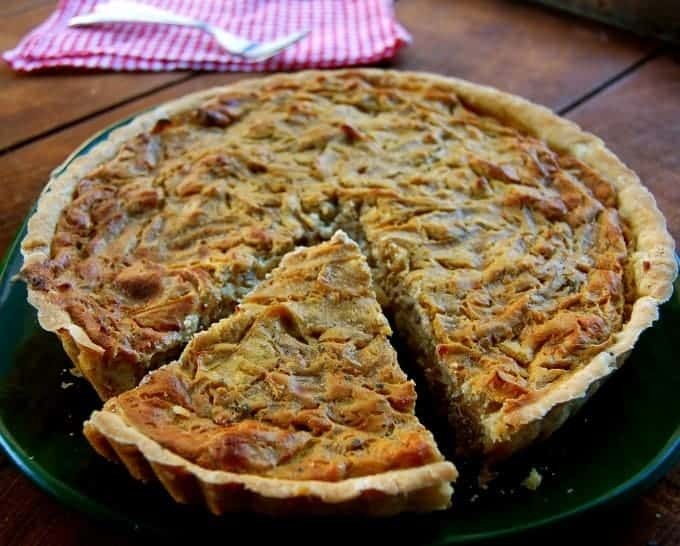 And here’s one way to have that fun and eat well too — my deliciously vegan French Onion Tart with a divine gluten-free crust. I use so many onions every day in my cooking, usually as a flavor base for other ingredients, that I forget just how much of a star this good old veggie is in its own right. Caramelized onions are deep, rich, sweet, smoky and incredibly flavorful. But wait! Did you know that onions are also super-good for you? 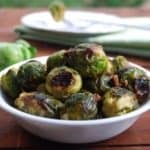 They contain cancer-fighting compounds and have anti-inflammatory properties. Amazing. I had been wanting to post this recipe for a French Onion Tart forever because it’s so good and because I love you all so much, but I needed to find the time to make it during the day so Desi could get great pictures too. Despite sounding so ooh la la, this is quite a simple recipe and you don’t need to go shopping for any fancy ingredients (not unless you consider nutritional yeast a fancy ingredient, but it is optional). Which makes it the perfect treat for a lazy weekend, when you want to spend less time in the kitchen and more time hanging out on the couch with your sweetie (or your dog or cat or all of the above), and a bottle of wine. The gluten-free crust is wonderful, but if you’d rather make a wheat crust that’s perfectly fine too. 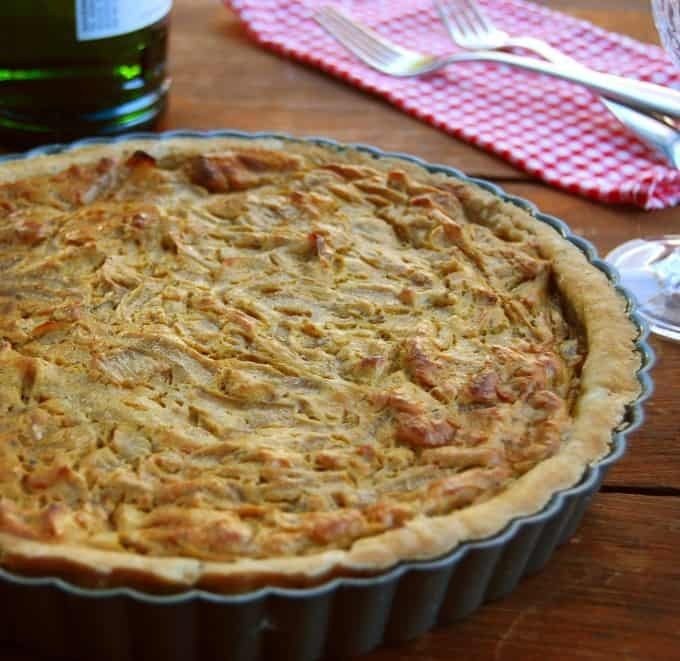 Just follow the instructions for the whole-wheat crust in my Coriander Quiche recipe. So on with the tart recipe then, and weekend here I come! Why aren’t there two of you in every week? 4 large onions, very thinly sliced. About 6 cups altogether. To make the tart shell, mix the flour, cornmeal, salt and black pepper in a bowl. Cut the coconut oil into the all purpose flour with a fork or a pastry cutter until you have small pieces of the fat dispersed throughout the flour. Drizzle in ice-cold water and mix with a fork until the dough comes together in a ball. Add the water slowly because you don't want a wet dough-- it should be moist enough to just hold together. Press the dough into a flat disc and wrap tightly in cling wrap. Refrigerate for at least 30 minutes. Heat the oil in a large saucepan and add the onions, sugar and a little salt. Cook, stirring frequently, until the onions start to caramelize and become golden brown. This took me about 20 minutes over medium heat. When the onions are browned, stir in the thyme, then add the cognac to deglaze the pan and scrape up all the tasty brown bits stuck at the bottom. If you'd rather not use cognac, use vegetable stock or plain old water. Turn off the heat and set the onions aside to cool. In a blender, crumble in the tofu then add soymilk, nutritional yeast if you're using it, mustard and salt to taste. Blend until you have a very smooth mixture. Scrape the tofu mixture into the pan with the onions and mix well. Remove the tart dough from the refrigerator and roll it out on a floured surface to a diameter two inches larger than the base of the tart pan (mine is 9 inches wide). 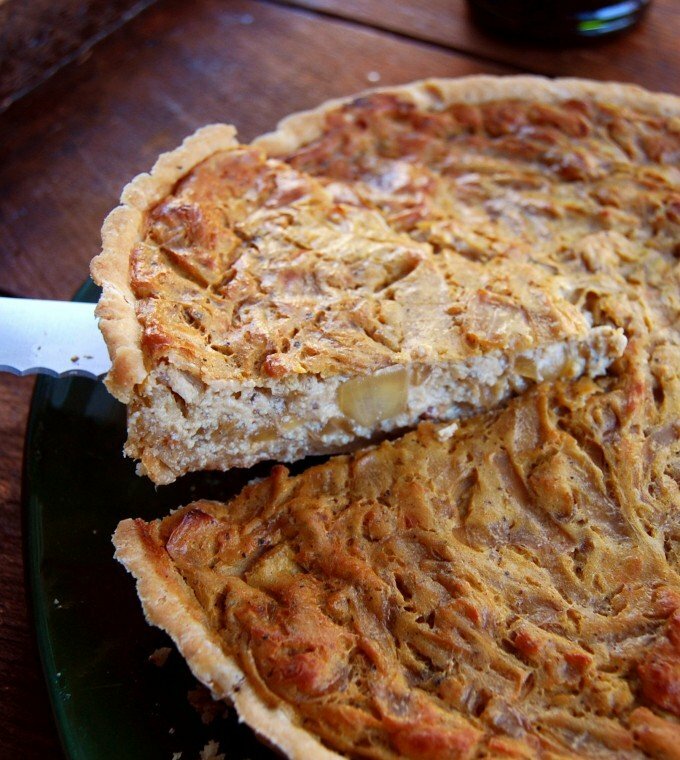 Fold the dough in half and then transfer to a tart pan and open it so it lies evenly across the pan. If the dough tears, don't worry. Patch it up once you have transferred it to the pan. No one will be able to tell. Run the rolling pin across the edges of the tart pan and remove any excess dough hanging over the sides. With a fork, prick the bottom of the tart shell in several places. Then cover with aluminum foil and fill it to the brim with rice or beans or pie weights. I keep some rice in a box and reuse it every time I need to blind bake a pie or tart crust. Bake the filled tart crust for 10 minutes, then carefully remove the foil with the rice or beans in it, and continue to bake the crust for another 10 minutes until it is quite dry. Remove the crust from the oven and increase the heat to 425 degrees. Brush the bottom of the crust with some extra virgin olive oil. Now scrape in the filling and smooth it. Return the tart pan to the oven and bake for 40 minutes until the top of the tart is golden-brown. Remove the tart to a rack and cool 10 minutes. 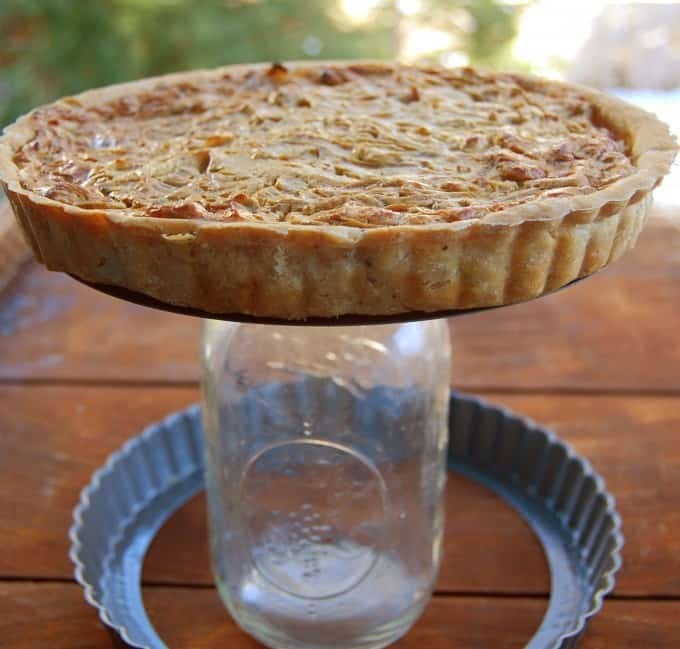 Then unmold it -- I do that by placing the tart on top of a mason jar and letting the rim slide off. Slide the tart off the base and onto the rack and continue cooling it for another 10 minutes. That looks amazing. I want to make this. Awesome photography, too – did you notice that in the top photo there’s a little green heart in the wine bottle? 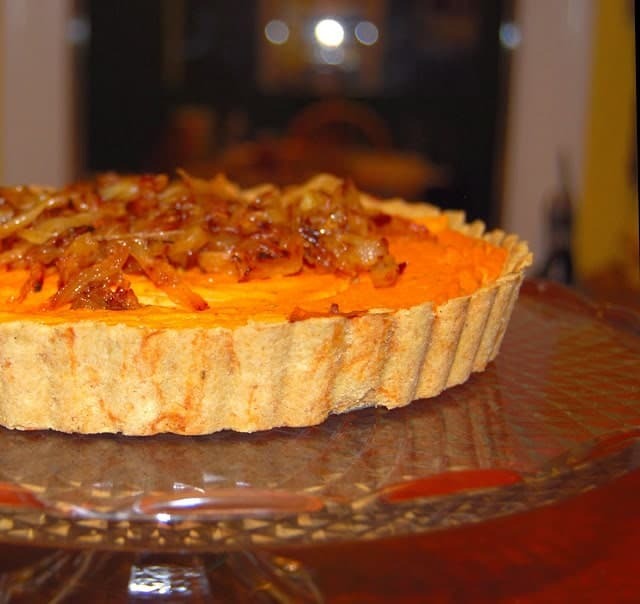 Ujwal, Thanks, and tarts are really easy to make — much easier than it appears. I hope you will try one sometime. 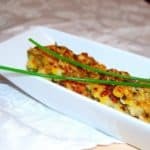 Hi — With what could I substitute the cornmeal in the crust? Hi Sam, you can use brown rice flour. 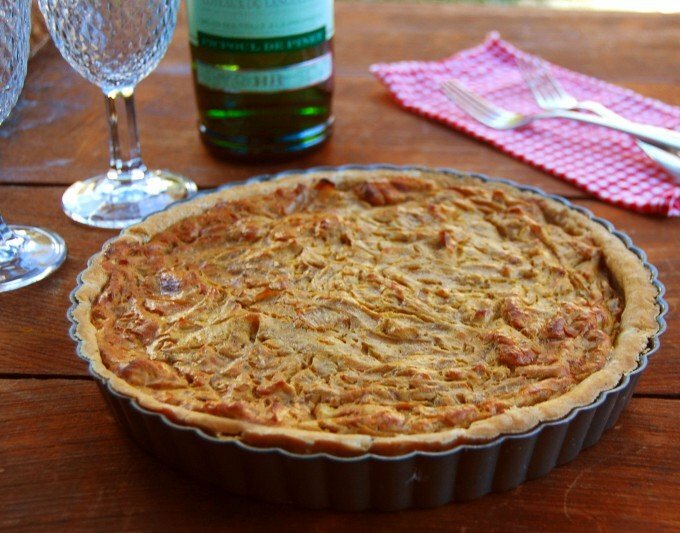 This looks so delicious and I am going to be making this tart for us this week! I was looking for something which worships one of my favourite vegetables – and here it is! Will try this in a few days. I really love your blog and you seem SO sympathically!! Want to make it right away. Those pictures are just awesome. Can u please tell me what is corn meal. Is it the same as corn flour. Thanks dear. Your blog is just great. Hi Smita, Corn meal is actually coarser than corn flour which is super-refined and very starchy. It is the consistency of sooji, but softer. 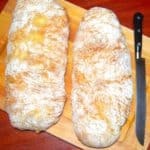 If you can’t get it, and if you don’t mind eating wheat, just use wheat flour for the entire crust. 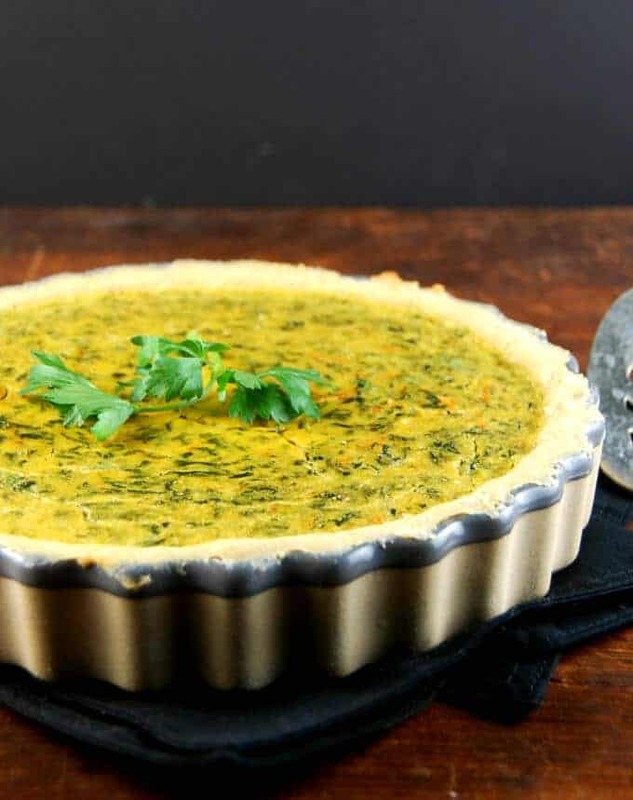 Hi Vaishali, this looks delicious, thanks for sharing your recipe… Could you please tell me what is the size of the Tart/Quiche Pan you used? Hi Laura, it’s about 10 inches in diameter. 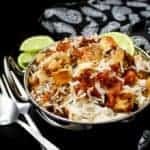 Truely mouthwatering recipe…thanks for sharing. 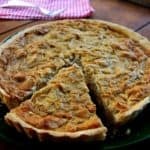 I have prepared this delicious tart twice! It’s is perfect, 5 stars! 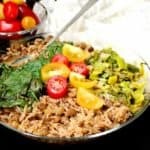 Three months ago I was diagnosed with some food allergies (tomatoes, Cow’s milk and soy) I can live without the first two, but I’m struggling avoiding soy. 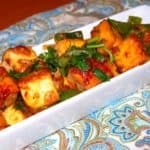 My question is: what could be a good substitute for tofu in this recipe? 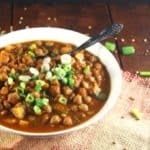 I have used chickpea flour in some other recipes but I wonder if that flavor would go well with this recipe. 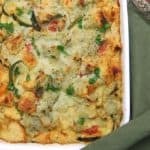 According to your experience, would a vegan Bechamel sauce work? could you please help me with the proportions as well? thank you so much! Hi Laura, you’re right, chickpea flour could overwhelm the flavor and it wouldn’t be as delicate. You could try a vegan bechamel, but you might want to add some cornstarch to help it thicken. I’d say that for each cup of bechamel you’d want to whisk in a tablespoon of cornstarch. You would need approx two cups of bechamel for this recipe, I would think. Made this tonight with normal flour. It was amazing! Def. on the make again list. Kat, so happy you liked it!